Around 12 noon on August 4th, the family and I rolled in to Hillingdon with our track bikes, rollers, push chair, cameras, mic, picnic, skinsuits, teddy bear and dummy. Though both Dave and I are keen racers, up until last week we hadn’t tried travelling to a race as a family and both competing in the same event whilst concurrently looking after our daughter. 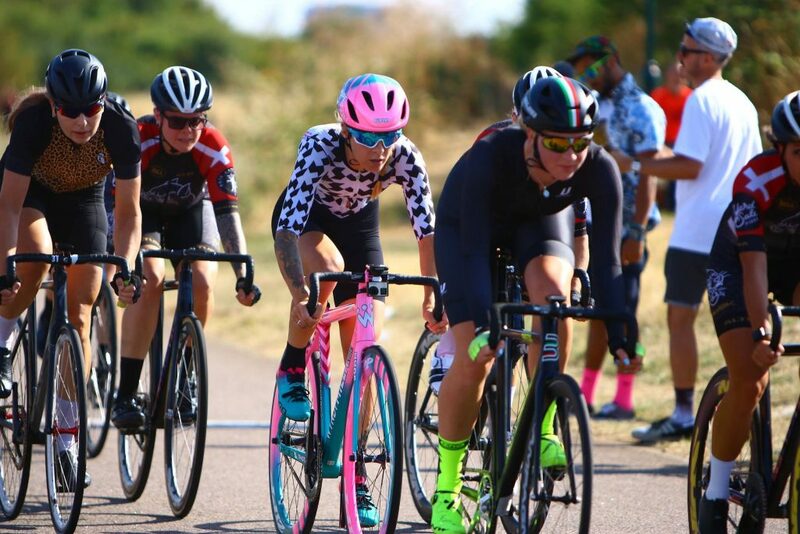 Sometime around the middle of last week, I realised I might finally be able to make it up to Hillingdon to race Minet Crit, which along with Thundercrit is one of the OG British fixed gear races. Though it’s now in its third year, like the best grassroots races Minet Crit retains a very friendly, relaxed, down to earth vibe so I realised it could be the perfect place to try a little experiment. How would Dave warm up for his race if I was still competing in mine? Would she get bored, agitated, livid, hot or tired? Would she nap? And if she didn’t would she cope? Would we cope with the extra stress? Would we even care enough about racing with Little Darling around? We pulled into Hillingdon about noon, arriving to sweltering heat and a bright, cloudless sky. After a quick bite to eat, we rolled over to the start/finish line to sign on and say hi to the organisers and our friends who had started to arrive for the day of racing. 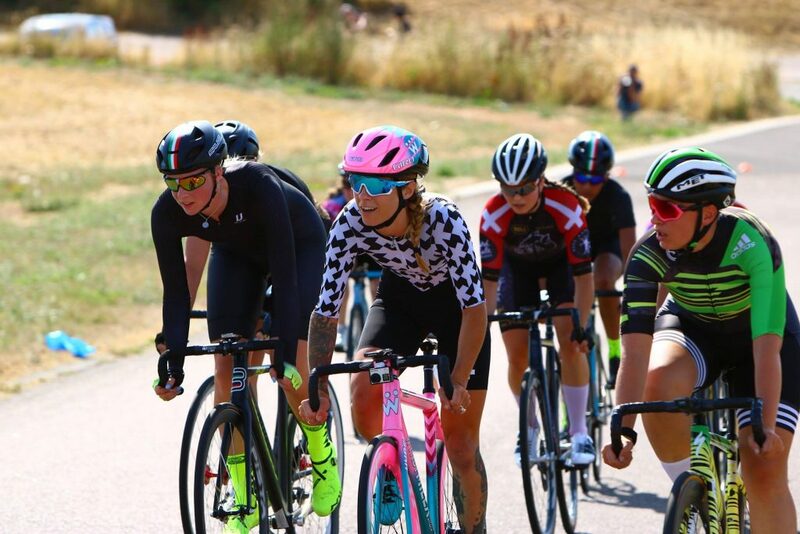 I’ve said it before but I’ll say it again – though of course the racing itself is a huge thrill for me, what brings me back to fixed gear racing time and time again is the people involved and the enjoyment I get from the entire day, not just the 40 minutes I’m on the track. 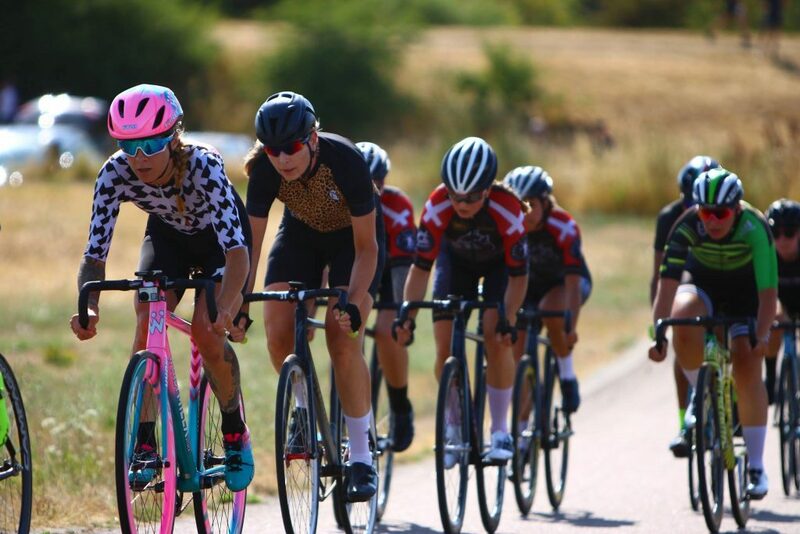 Fixed gear races are just so different to most of the road crits and races I’ve done in the UK – everyone hangs out all day, there’s a real sense of kinship and an extraordinarily fun, upbeat atmosphere. Thinking about it now, along with the fact this is a relatively new, young sport without any traditions, I wonder whether it’s the format that helps foster that environment? 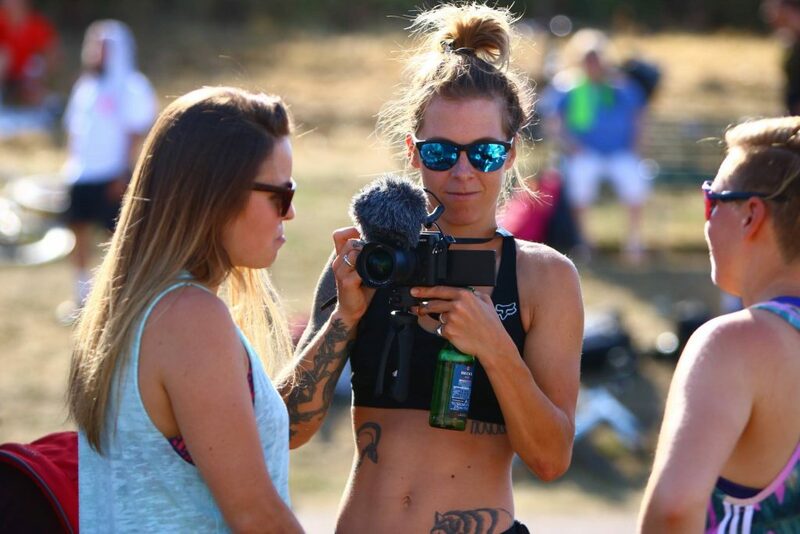 In a road race/crit you simply pitch up and race, whereas in a fixed crit there are always different qualifying heats before a couple (at least) of main races) so there’s a reason to make a day of it and it’s easy to make friends. As the mercury was predicted to tip 30 degrees, I’d decided to make an adjustment to my ASSOS skinsuit, opting to slice the sleeves from the kit that I’d trashed in my crash at Brooklyn. Unfortunately, I had a little more venting that I’d anticipated as I hadn’t realised I’d split the torso, not just the sleeves when I skidded along the asphalt but that was no bad thing – it was scorching. With my mind not really in the game, I managed a hasty five minutes on some rollers before the qualifications, then lined up at the start with plenty of familiar faces and a few new ones too. The circuit was the kind where it didn’t really matter whether you’d ridden a fixed gear bike before or if you knew how to do so. At a little under a mile it has absolutely zero technical features – it’s just wide, open and can be ridden flat out. I’ve no idea what it’s like on a road bike but on a fixed gear bike it’s pretty boring – I feel bad for saying that, sorry, but I just really prefer courses with hairpins, chicanes and stuff that tests your bike handling skills. I’d opted to use a gearing of 49:15 which turned out to be ok for my personal needs and suited the pace of the race. 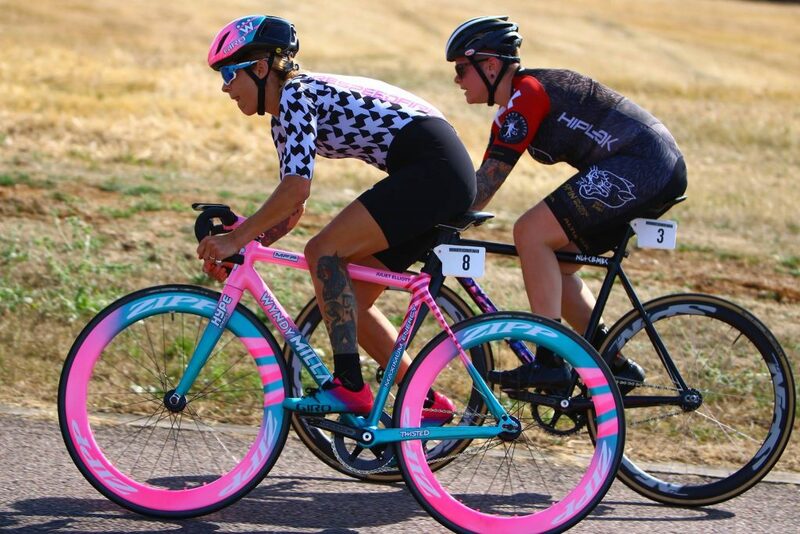 Fixed gear race gearing is a whole other blogpost, that I’m happy to bore you with in the future if you like (let me know in the comments!) but for now, let’s just say I favour big gears and should possibly have gone bigger in the main race. The five qualification laps were fairly uneventful other than the fact I sprinted to third. When it was time for Dave to qualify I was a little worried as he has still not had the results from his third MRI scan and hasn’t had any useful information on what he should or shouldn’t be doing with several disc prolapses. Having an injured back is something I’m all too familiar with and it’s such a total bugger – it seems nigh on impossible to get much help and all too often people are either ignored, palmed off or not given the info they need to help themselves. As such, Dave hadn’t been training for racing, instead doing a lot of steady sessions on the Wattbike so he wasn’t sure how his ‘top end’ would be in his heat. I wasn’t sure if he’d be able to complete the race without pain as what’s doing on his spine badly affects his shoulder but in the event, he did incredibly well! When it was time for my main race I lined up in third position and readied myself for the start. This time I had’t warmed up at all as Dave had just been racing and I’d been Mummy so I’d just squeezed in two casual laps of the circuit while the organisers got their flags and lap boards together. You can find out what went on in the race (and the rest of the day) in my new video below. Juliet I’d be up for some fixed gearing info. And how did your daughter fair up on the day? Cool, I’ll write a more detailed post. Anything in particular you would like to know? She really loved it! It was awesome seeing her cheering on all the racers!